The king is doing it in solidarity with the rakyat. In May, just weeks after the 14th General Elections and following the appointment of several Cabinet ministers, the government has decided to impose a 10 per cent salary cut on all Cabinet ministers’ basic salary. The move was part of a cost-cutting measure and also to help lessen the country’s financial burden. Kind-hearted Malaysians also wanted to chip in and help out our nation’s mountainous debt by doating to the Tabung Harapan Negara. The collection now stands at RM56,662,086.58 as of 11 June 2018. 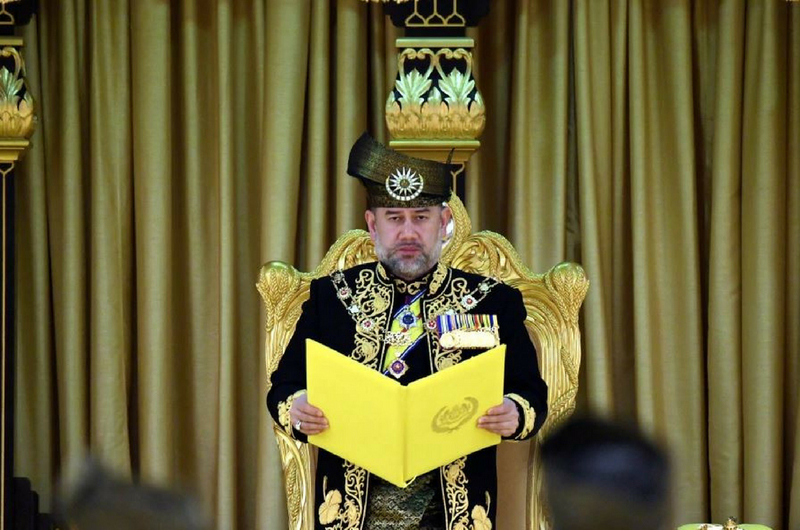 Moved by the generosity of patriotic Malaysians, our king, the Yang di-Pertuan Agong Sultan Muhammad V, has decided to also to take a 10 per cent cut in his salary and emoluments. In a statement issued, the King is highly concerned about the state of the country's debts and economic situation. 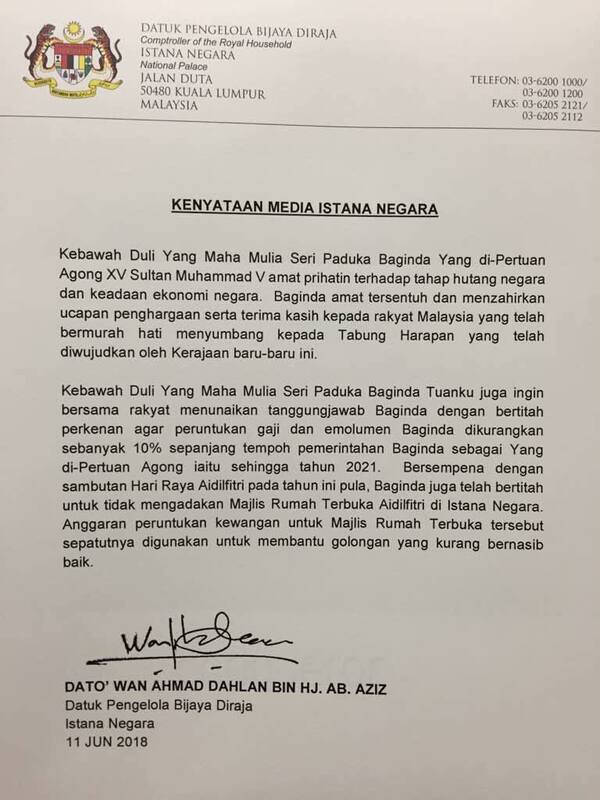 He thanked Malaysians who have donated willingly to the Tabung Harapan Negara and in solidarity with the rakyat, he has consented to his salary cut throughout his ruling term, which ends in 2021. His Majesty has also decreed that there will be no annual Hari Raya open house this year at the Istana Negara as he feels that the funding for the celebration is better channeled to those in need. Macam Mana Mat Salleh Ni Boleh Viral Di Malaysia?